Ken Garff Automotive Group has purchased Henry Day Ford, effective June 1, 2018, combining the expertise of two premier, family-owned auto companies in Utah. The two auto giants were established in Utah just two years apart: Ken Garff in 1932 and Henry Day in 1934. 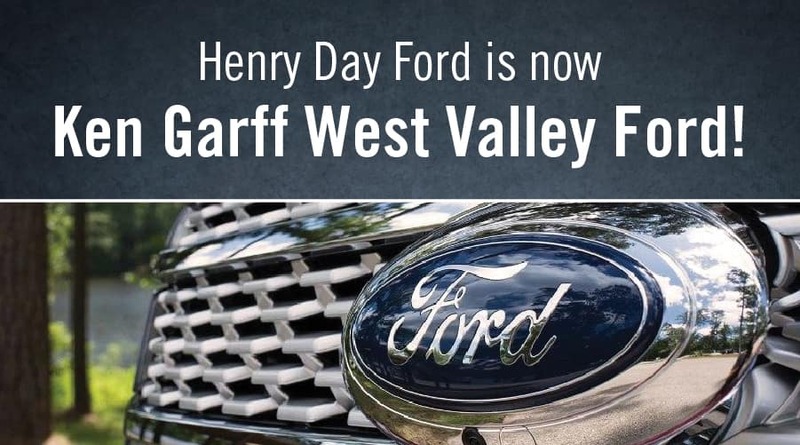 Henry Day Ford will change its name to Ken Garff West Valley Ford and will provide customers with GarffCare, the AdvantageCare pre-paid vehicle maintenance package and more vehicle options. The Day family is stepping away from the business.